The traditional samurai film blends both spectacular sword-play with thought-provoking philosophy that often questions the very nature of existence. This May, one of Japan’s most well-loved samurai legends comes to life in the form of 47 Ronin – out on blu-ray and DVD on 12th May. The tale, which is based on real events, follows 47 masterless samurai who set out to avenge their master’s death, during the first half of the 18th Century. 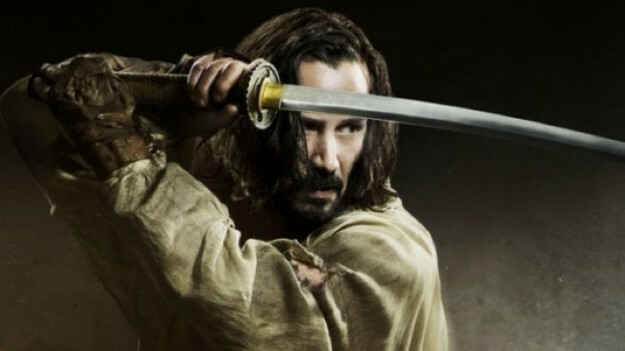 Starring Keanu Reeves and Hiroyuki Sanada, this legendary tale of heroism also includes more than its fair share of shape-shifting witches, mythical beasts, and staggering action sequences. To celebrate its release, FilmJuice whips out its collective katana, strikes a cool pose and asks… are these some of the best samurai films ever? Perhaps the most well-known of the genre, Seven Samurai was directed by Japanese cinema legend Akira Kurosawa and has become one of the most iconic films in cinema history. Set in a Japanese village under attack by thieves, the residents hire seven masterless samurai to defend them. Sound familiar? Hollywood adapted the story and the result was… The Magnificent Seven. Winner of the special jury award at Cannes, Harakiri is set in 17th Century Japan; a time when the country’s feudal system was in the process of being dismantled. Masterless samurai, known as ronin, wander the countryside asking wealthy lords for a place to commit ritual suicide, known as hara-kiri, in line with the samurai code of conduct. Described by critics as both a satire and tragedy, Harakiri is visually stunning with its black and white cinematography. Nominated for an Oscar and winner of 12 Japanese Academy Awards, The Twilight Samurai sees 47 Ronin’s Hiroyuki Sanada star as a 19th Century low level samurai. 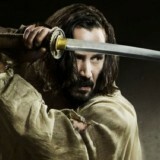 Nevertheless, this isn’t your typical Samurai film. It follows the story of a widowed father who has to work hard to support his daughters. It doesn’t rely on swashbuckling sword fights but explores the love and honour code of an ordinary man. Yojimbo, meaning bodyguard, is another film from master Japanese director, Akira Kurosawa. Like many samurai films, the protagonist is a ronin and this particular warrior finds himself in a village split between two criminal gangs. The samurai decides to live dangerously, playing each gang off against the other with the aim of liberating the village. It doesn’t take a leap of the imagination to see where Sergio Leone’s classic Spaghetti Western, A Fistful Of Dollars, took its inspiration from.